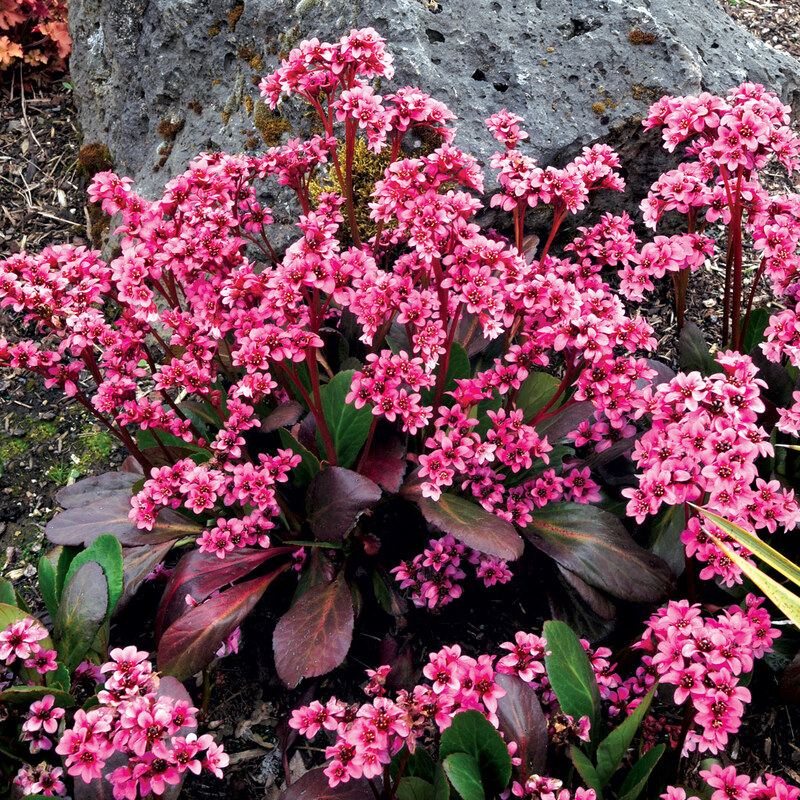 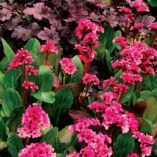 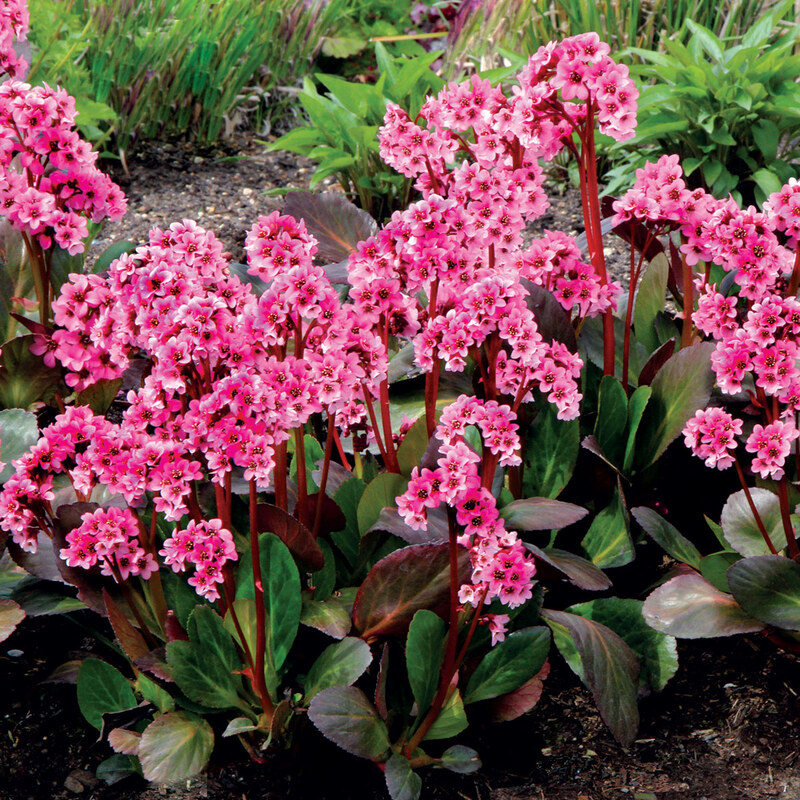 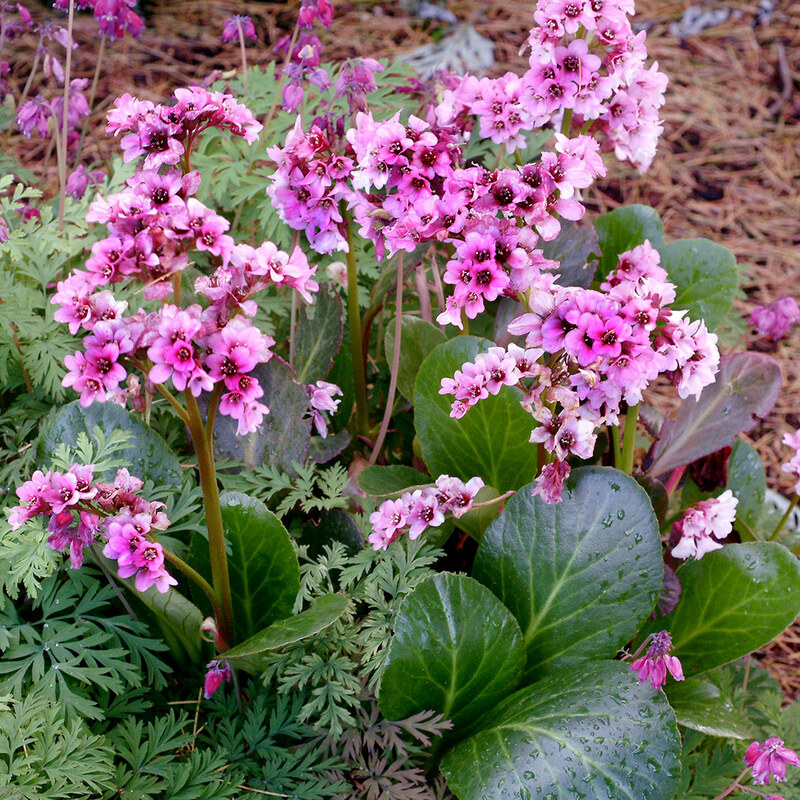 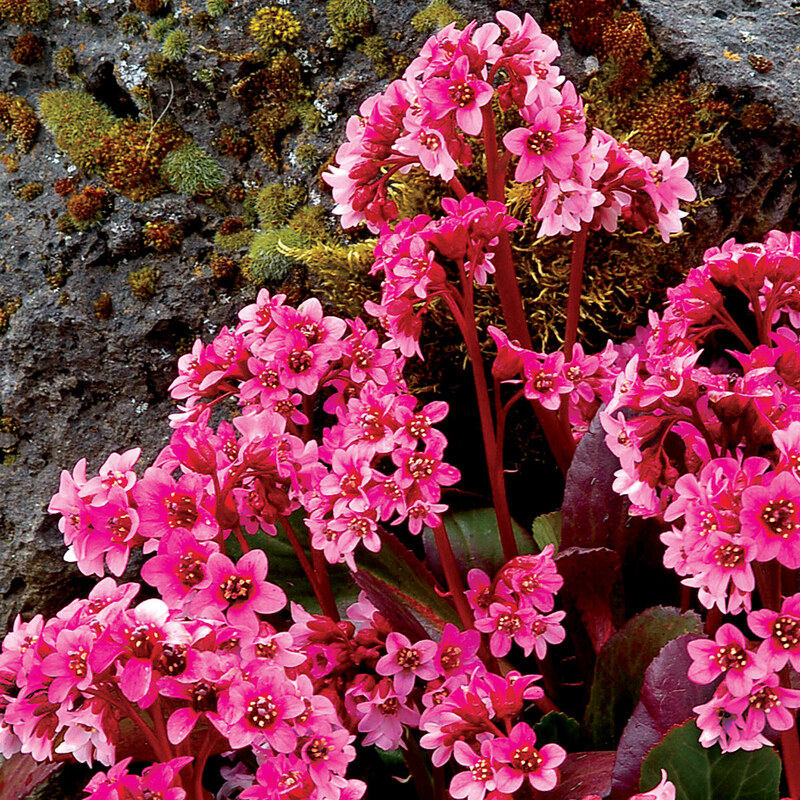 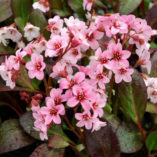 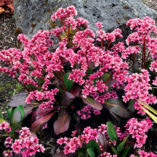 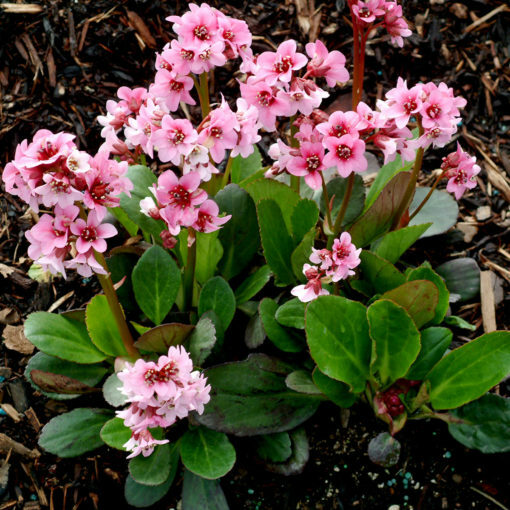 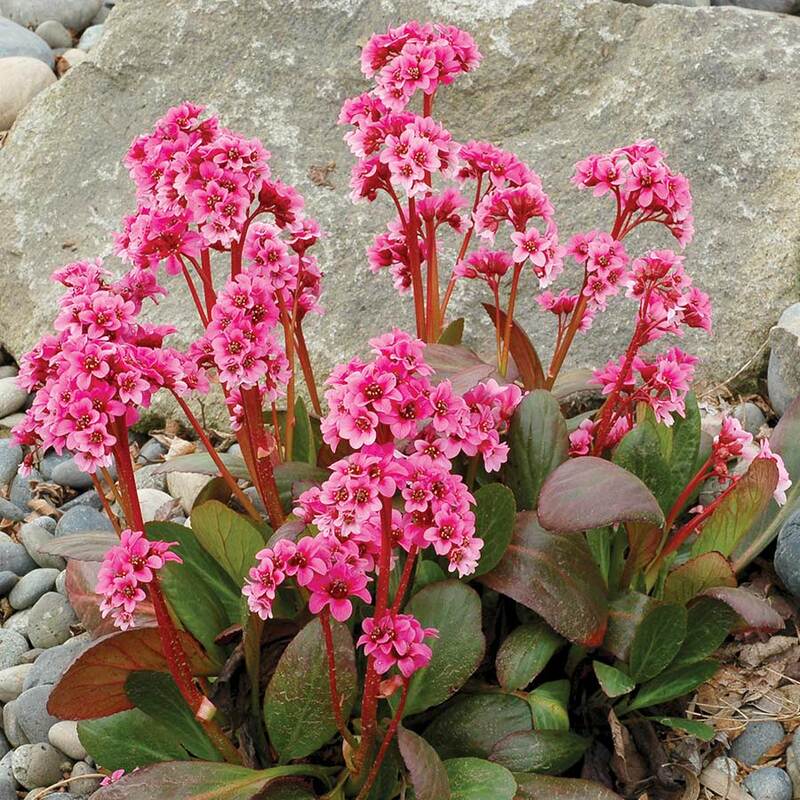 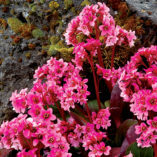 Bergenia ‘Pink Dragonfly’ | TERRA NOVA® Nurseries, Inc. 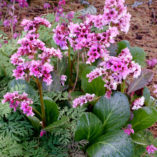 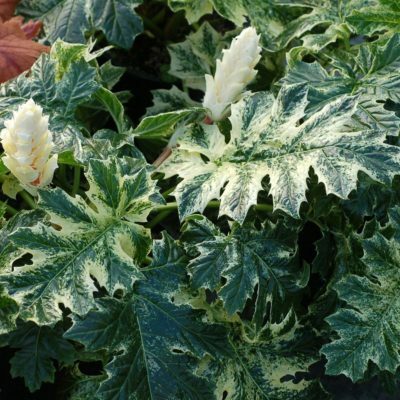 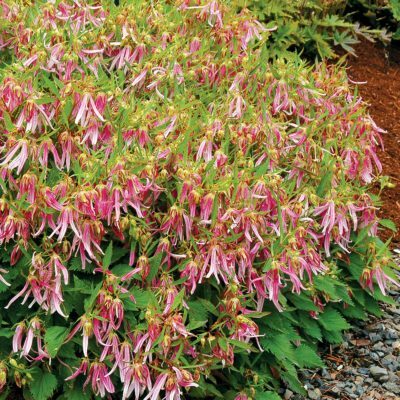 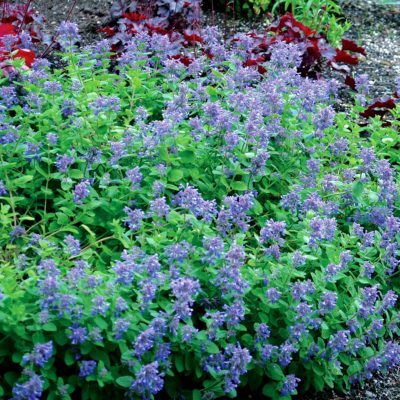 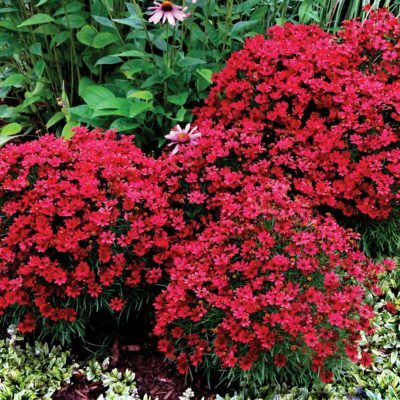 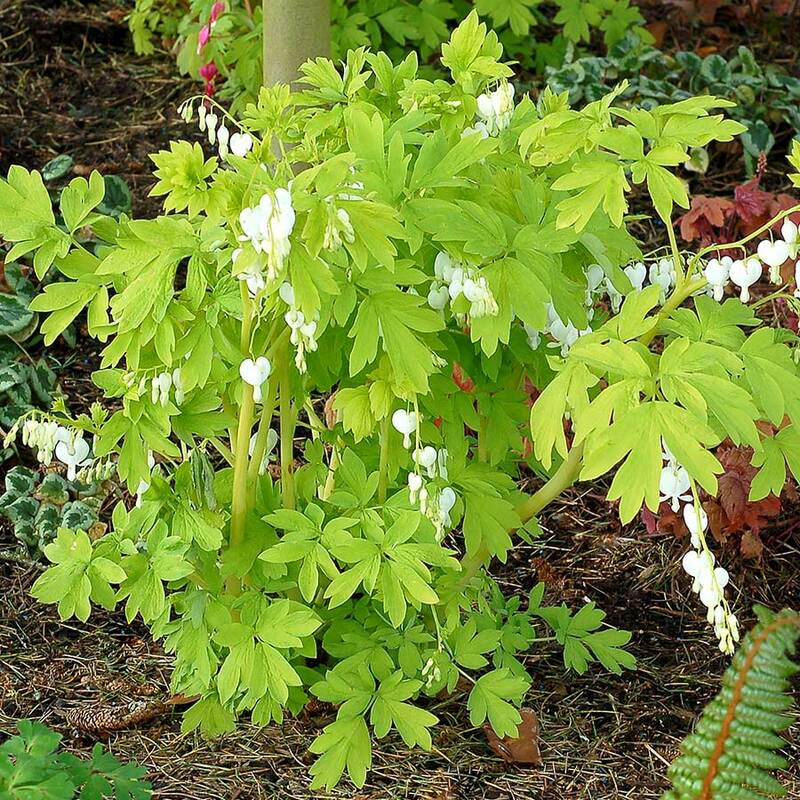 Narrow leaves, with brilliant purple winter color, erupt in luscious bright pink flowers in proportion to its foliage on this petite beauty. Truly the Bergenia for people who are looking for multiple seasons of interest. It is more elegant, with a smaller habit and narrower leaves than the other Bergenia on the market. 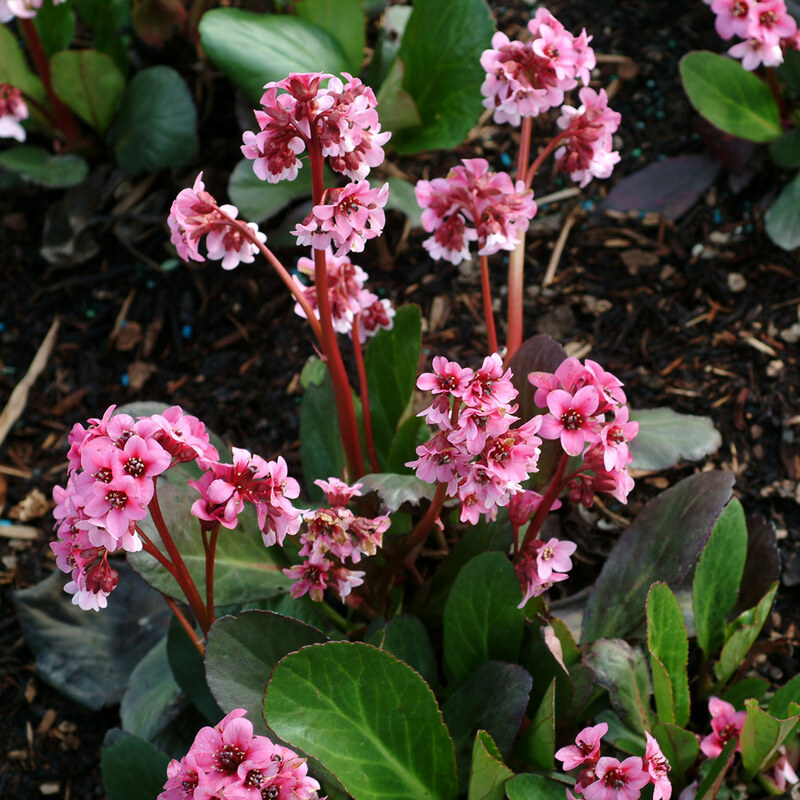 The leaves are a shiny red plum color in the winter.